Repair details: Please select this repair if you are having issues with the sound coming from the headphone socket of your apple iPod Touch - 4th Generation. 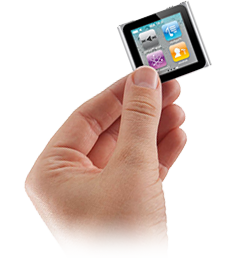 This is another one of the common repairs for the iPod Touch - 4th Generation series. Symptoms include loss of sound from one channel, crackling sound or no sound at all from the headphone socket.